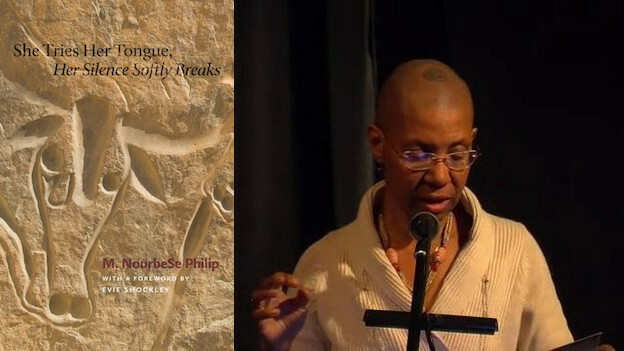 I first encountered M. NourbeSe Philip’s poetical interruptions three years ago, in a course taught by Tisa Bryant called Unnamable Texts. We spent time with “Discourse on the Logic of Language,” which is a sequence from her 1988 collection She Tries Her Tongue, Her Silence Softly Breaks. My memory of this poem is bodily. Part of this is due to how we read this piece; not only silently to ourselves, but also following along to a recording of Philip performing the poem. Throughout her delivery, she subtly elongates the word language until it becomes a cry, a tender wound, throbbing. 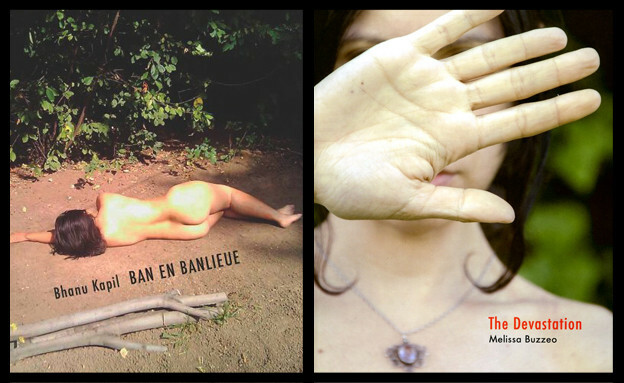 Ban en Banlieue by Bhanu Kapil and The Devastation by Melissa Buzzeo were published by the same press, Nightboat Books, on the same day in 2015. How do these two works speak to one another? Taken together both pieces gleefully frazzle and implode a number of genres: novel, poem, historical fiction, autobiography, performance text, theory. The works situate readers in psychogeographical outskirts, landscapes that wish to enact a language turned away from violent erasures and silencings. Who does literature serve? 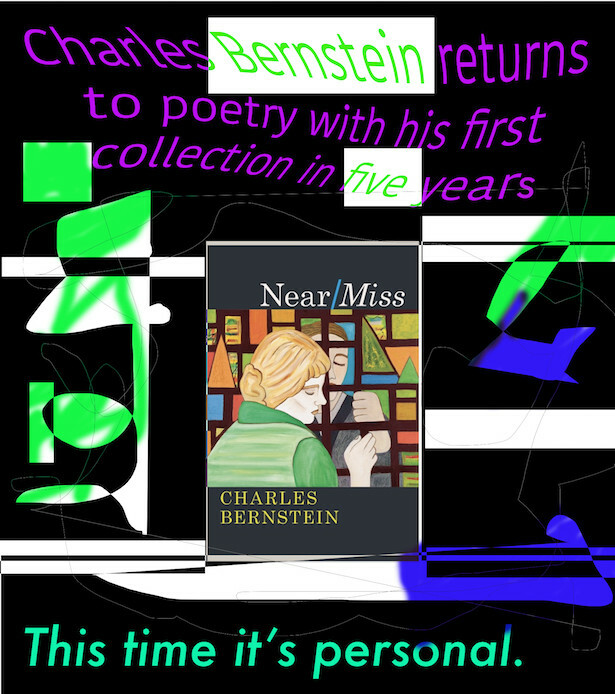 Taken together both pieces gleefully frazzle and implode a number of genres: novel, poem, historical fiction, autobiography, performance text, theory. The works situate readers in psychogeographical outskirts, landscapes that wish to enact a language turned away from violent erasures and silencings. 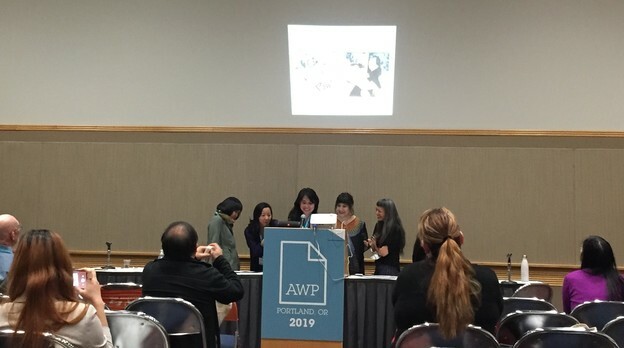 Who does literature serve?